My soul thirsts for thee, my flesh longs for thee in a dry and thirsty land, where no water is. In these hectic and hellish days.. ponder on the precious things of life. Meditate on Him, and His relationship with you. Consider your relationship with Him. Consider these things not casually or intermittently, but intensely, longingly, frequently. Translate your deepest desires and intense longings into the breath of prayer. Focus your heart on His beauty in spirit and in truth and rest in His love. As you ponder upon Him and all He is, you will be blessed. Just think about the riches of His love that He has bestowed on you… and on me. We need to love Him with all our heart.. not just part of it. We need to desire Him.. more than any of His creation or creatures. We needs must value His fellowship, more than that of friends or family.. until like Abraham we would willingly give up ALL we hold and love dearest in this life. Let us give up ourselves wholly to God. Let us hold earthly affection, as found in Him. Let us lift all earthly work and purpose.. up to His sweet service. Let us from this day forward seek after Him with every fibre of our beings. Let us cry with the sweet psalmist of Israel: My soul thirsts for God, for the living God.. My flesh longs for Thee in a dry and thirsty land, where no water is. 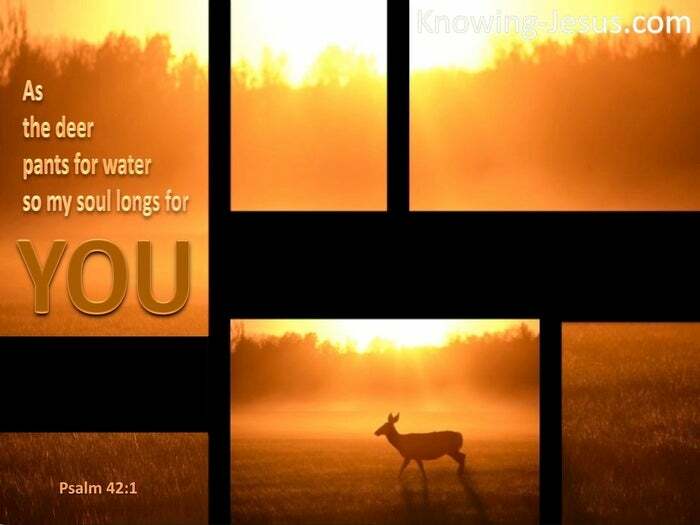 Psalm 63:1 As the deer longs for the water-brooks so my soul longs for Thee oh God. 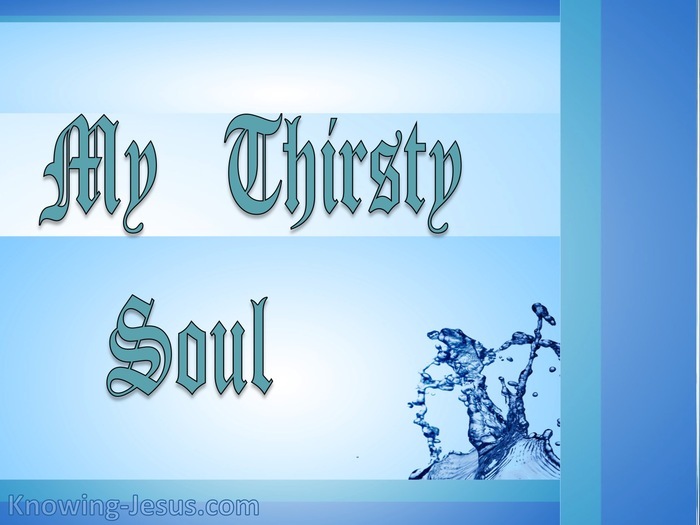 My soul thirsts for God – the living God. Psalm 42:1.